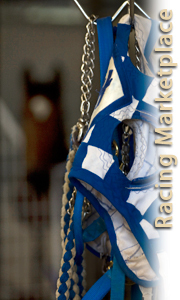 Horses For Sale- Looking for a future race or speed champion? Check out the list of horses advertised on-line. Stallions- Looking to breed your race broodmare, or simply interested in learning about the bloodlines making their mark on the track? Browse through the stallion section to find the stallion to benefit your breeding program. Transportation- Looking to get your Paint from one place to another? Look no further than the transportation section. Supplements- Keeping your Paint Horse healthy and fit should always be a top priority. Check out the listing of supplements available to owners. Training- Every horse owner knows the little things can make a huge difference in your horse’s performance. Check out the listings and services available. Misc.- A comprehensive list of miscellaneous services and items for sale.